After 11 years with Audi Sport, 2011 DTM Champion Martin Tomczyk will be trading in his four rings for a roundel come next year's DTM season. While a report of Tomczyk's official departure was released by Audi Sport on Monday, news of him joining BMW officially broke today. Tomczyk is the fourth works driver signed to BMW Motorsport's new DTM team, joining Andy Priaulx, Augusto Farfus and former Mercedes rival, Bruno Spengler. Full Audi Sport press release after the jump. Ingolstadt, November 21, 2011 – DTM Champion Martin Tomczyk seeks a new sporting challenge. 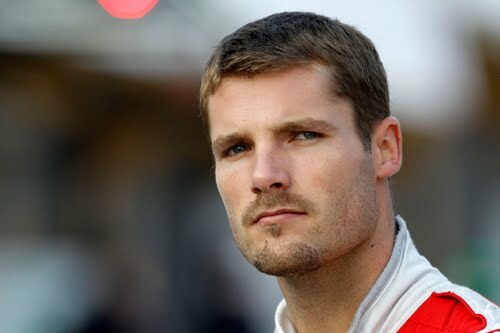 The 29-year-old man from Rosenheim will no longer compete for Audi in the 2012 season. Tomczyk started his DTM career in the 2001 season as 19-year-old in Team ABT Sportsline with the Abt-Audi TT-R and was, at that time, the youngest DTM driver in history. In 2003 he became Audi factory driver in the ‘S line Audi Junior Team.’ Since 2004 he has competed with the Audi A4 in the DTM, initially for Audi Sport Team Abt Sportsline and for the first time in 2011 for Audi Sport Team Phoenix. In his sixth DTM season in 2006 he finally recorded the first of his seven DTM race wins to date. By winning the championship title in 2011 at the wheel of a year-old car he achieved the greatest victory of his career up to now. How Audi will line up in the DTM next year will be decided over the forthcoming weeks. In Mattias Ekström (Sweden) and Timo Scheider (Germany) the brand with the four Rings has two DTM Champions under contract who have both won the championship twice for Audi. No less than eight of the nine Audi drivers mounted the podium at least once in the DTM in 2011. Audi currently plans to contest the DTM 2012 with a maximum of seven cars. Official BMW Motorsport press release can be found here.